When I first saw this tree in West Virginia, I am so fascinated because of its interesting feature. Hubby said that some people call it weeping Cherry because the leaves are like tears flowing down. 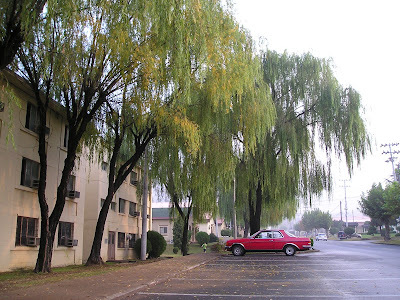 But in that music video entitled Whisky Lullaby by Brad Paisley and Allison Kraus this is called Willow Tree. Here's the flower of the weeping cheery.. Isn't it gorgeous? 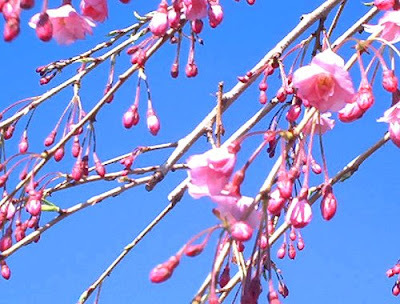 I used to take pictures of our neighbor's weeping cherry when it is fully bloomed, it is really beautiful! 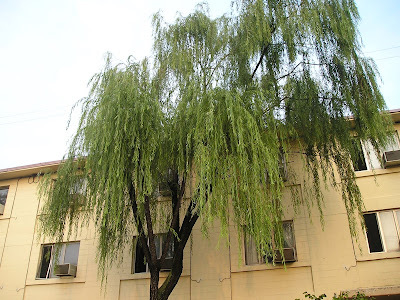 Here's a perfect shot of a willow tree! Any additional info? Just please leave me a message thru the comment, thank you!